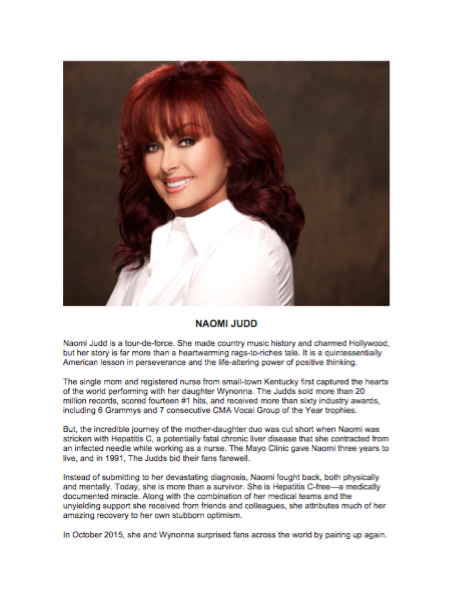 In 2011, following a wildly successful North American “Encore” concert tour, Naomi Judd, or “Mama Judd” as she’s affectionately known by adoring fans worldwide, was diagnosed with severe treatment-resistant depression. 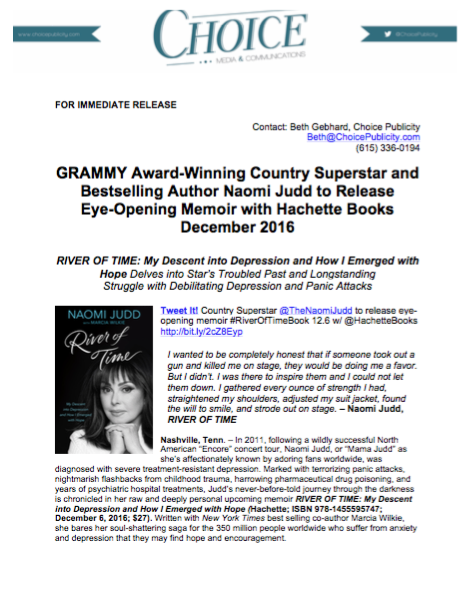 Marked with terrorizing panic attacks, nightmarish flashbacks from childhood trauma, harrowing pharmaceutical drug poisoning, and years of psychiatric hospital treatments, Judd’s never-before-told journey through the darkness is chronicled in her raw and deeply personal upcoming memoir RIVER OF TIME: My Descent into Depression and How I Emerged with Hope (Hachette; ISBN 978-1455595747; December 6, 2016; $27). 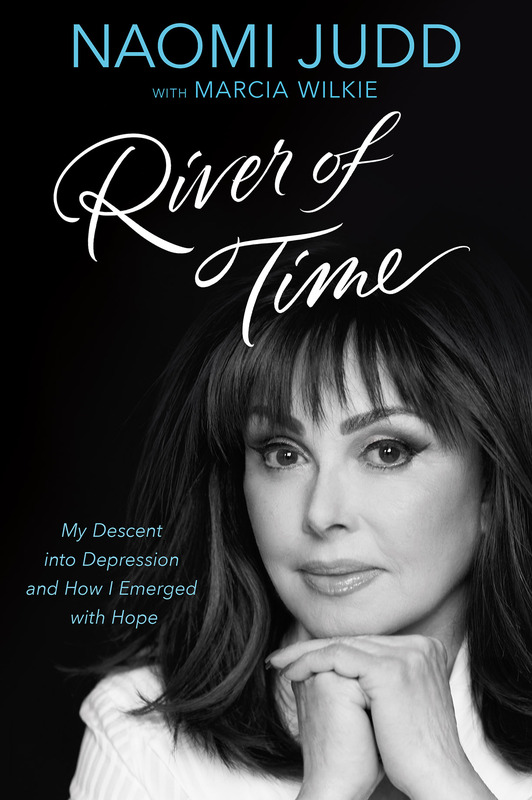 Written with New York Times best selling co-author Marcia Wilkie, she bares her soul-shattering saga for the 350 million people worldwide who suffer from anxiety and depression that they may find hope and encouragement.